Flapjacks were the first cookie bars I actually made years ago when I had no clue about baking. I really love that you almost cannot mess them up. (I used to mess up a lot of baked goods.) Usually they are simple and consist of only a few ingredients. They are my stand-by cookies when I am out of flour for example, or need a snack that keeps well and is easy to transport. To make them a bit fancier, I used a butterscotch flavoured syrup that I got at my favourite shop here in Dresden. It consists of invert sugar syrup and flavourings, so it works like regular corn syrup or golden syrup, which is often used in bars like these. The syrup improves both the texture and colour, it makes them all shiny and chestnut-coloured. And of course it adds this amazing buttery toffee syrup. I added cranberries and almonds but I think this recipe is quite adaptable. For example you could use butterscotch chips instead of the cranberries. Of course you can use raisins instead of the cranberries and you could leave out the almonds as well for a simpler and cheaper version. Note: I used this brand of butterscotch syrup but there are other brands, too. A German equivalent would be this kind of syrup. If you don’t have access to butterscotch syrup at all, you can use agave nectar, rice syrup or corn syrup instead. This will change the flavour but should not affect the texture. Please keep in mind that the baking time might be shorter when using agave syrup. Preheat oven to 180°C (350°F) and line a rectangular pan (28 x 18 cm or 11 x 7 inch) with parchment paper. Beat sugar and oil until creamy. Add remaining ingredients and knead with your hands until everything is mixed well. Press into the pan and bake for 23 minutes. Let cool completely before slicing and serving. Your photos are so pretty! I don’t think I’ve ever made bars like these. I guess I don’t keep many liquid sweeteners on hand, but I do love golden syrup and these look really easy. I tried out a new plug-in but it doesn’t seem to work very well. Sorry about that! I think the most important thing about flapjacks is to add a lot of sugar so it will melt and stick everything together. 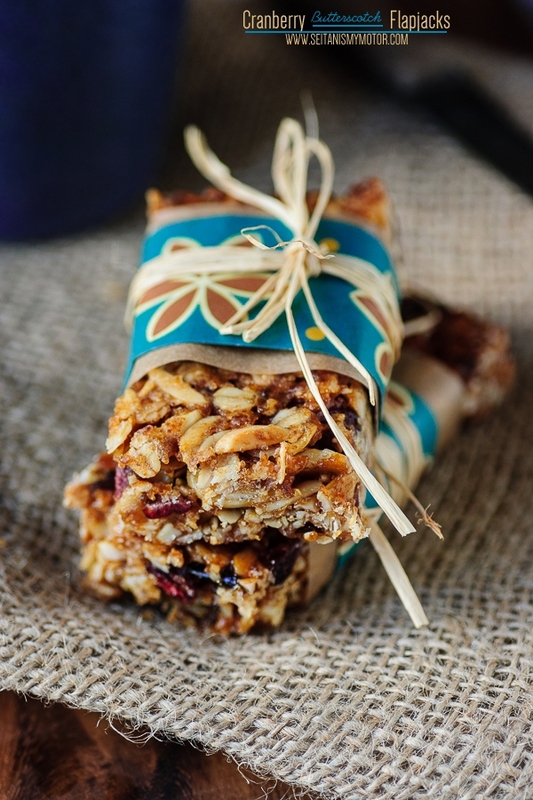 I’ve had granola bars with less sugar and/or added liquid fall apart, too. I made flapjacks for the first time years ago when I saw them on a MoFo post. So good! So funny – where I live “flapjacks” refers to pancakes. 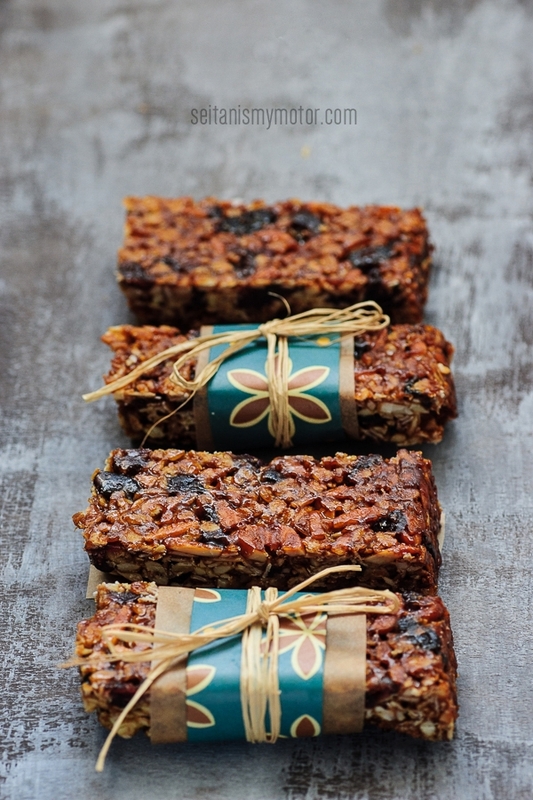 I’d actually never heard of the other flapjack until you posted this, but they look delicious! I know! I probably should have clarified that I mean British flapjacks.